Moon Day honors previous space flight accomplishments and focuses on current and future activities in space exploration. 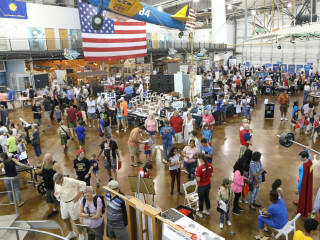 This year the STEM-focused event also celebrates the upcoming 50th Anniversary of the Apollo VII mission and includes programs and classes for all ages. Moon Day is presented in collaboration with the National Space Society of North Texas.